We are not those people that have names picked out by the start of the start of the second trimester. We had a short list and we had a girl name we'd picked out if Barrett was a girl. For a boy we knew we wanted a "B" first name and an "M" middle name because the three of us have middle names that begin with "M". The name we chose if Barrett was a girl was Ann Marie. Ann is both of our moms middle names and Marie is my sister's middle name but Patrick really wanted her middle name to be after his family since Barrett's is after mine. We loved the middle name McCarty. I liked Ann-McCarty. Patrick didn't. I wanted a double name and he wasn't against a double name but he wanted McCarty to be her middle name. So we went back and forth on names that went with Ann for weeks. Finally one day Patrick said he really liked Avery. I loved the name but wasn't sold because I felt like it was a little too popular. I talked to a friend who is a local labor & delivery nurse and she said she didn't think she'd delivered a single Avery. 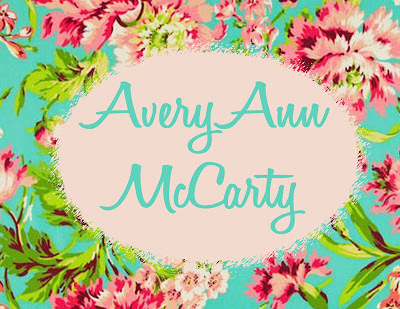 So we decided on AveryAnn because Patrick loved Avery (I do too now) and Ann after our moms. McCarty is Patrick's middle name. We think her name is perfect for her. The more we've said it we just fall more and more in love with it. Hopefully Barrett can say it before she gets here. We can't wait to meet her! That is a beautiful name! !